In this article Blackberry Design review Mobile Marketing Trends for 2016. Mobile usage has proved it is more than just a fad and is well and truly here to stay, smartphones, tablets and other mobile devices have changed the way we use the internet. Mobile technology has played a huge part in creating a generation of users that want one click information and as a business owner it would be foolish to not incorporate mobile marketing into your digital marketing strategy. If you are not utilising mobile marketing, your business could get left behind. 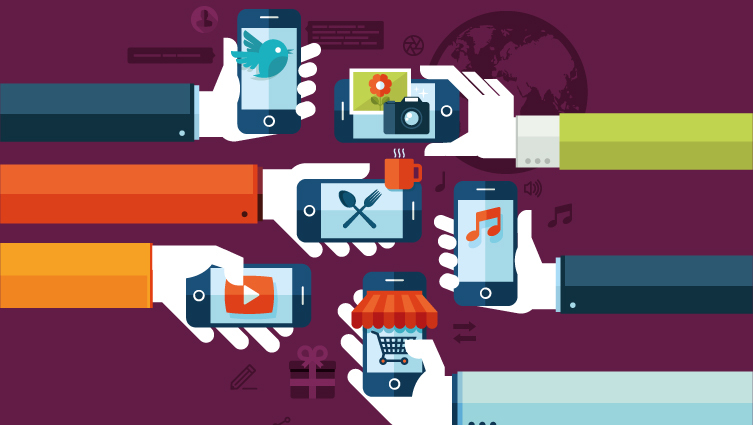 Let’s take a look at three of the biggest mobile marketing trends for 2016. As mobile technology develops and becomes more readily available to the everyday user, mobile will go beyond smartphones and tablets. We have already seen an increased usage of watches and other wearables, but in the not too distant future, expect to see an increase in mobile technology built into everyday items such as cars, fashion accessories and household appliances. While we may not be there just yet, it is predicted that by 2019 two in five internet users will use wearables (EMarketer). With this in mind it is good practice to start including wearables into your mobile marketing strategy now in preparation for the growth in usage over the next few years. Adopting wearables into your strategy now will help your business to stand out from the competition and be one step ahead of the them. At the beginning of 2016 Google announced that they were planning to incorporate video adverts into search results, making mobile video ads a must for advertisers. This is further reinforced by the increase in video content on social media networks such as Instagram, Facebook and Vine. As with all technology, video technology is continually developing and businesses are experimenting with new technology when it comes to advertising. One of the biggest developments in recent months is the increase in 360 degree videos, which allow users to pan and rotate a 360 video’s perspective to watch it from all angles. On iOS and Android mobile devices, the viewing angle of a 360 video is changed by dragging a finger across the screen or by navigating with the device. Facebook has integrated 360 videos into their newsfeeds and it is expected that many other platforms will do so. In the past, mobile’s role in the purchasing process was to search for products and read reviews, that has all changed and according to Forrester, mobile currently accounts for 35% of all ecommerce. Over the next few years this will continue to grow thanks to the rise in social commerce, such as Instagram’s “Shop Now” and Pinterest’s “Buyable Pins” and as most of social is mobile now, this will have a huge impact on mobile commerce. It is also worth mentioning that special offer or discount sites like Groupon have also had an impact on the way users use mobile in commerce. If we see something we want we know have the technology at our fingertips to buy it, anytime and anywhere. Businesses within the retail sector especially will be investing in their mobile commerce in a big way in 2016 to ensure they are not missing out on vital sales.